There is a table we've wanted to buy for a while now, and we had planned to save up for it. That said, six months went by and we didn't save a penny for it (too many other items higher on our priority list). So I decided to try to get the same look with our existing table. It's obviously not exactly the same, but I think it turned out pretty well. Anyway, it's much better than it was, and I certainly am happier with it. Below is what I had to work with. It has a similar shape compared to the RH table shown above. However, the color wasn't my favorite and the top had some major wear. I really wanted a raw, reclaimed wood look. Fortunately, because my table has straight lines it was fairly simple to sand and it only took a few hours, split between two days, to finish. Here is a quick tutorial on how I achieved the color. * Note: Every type of wood takes stain differently so even though this method worked for me, it may not achieve the same result on the wood that you are working with. I recommend testing it in a small area that you won't see. I tested it under my table top. Fiddes and Sons Surpreme Wax, light *Update: I used Krylon's clear polyurethane in satin on my bar stools and it gives the same finish as the wax (not too much sheen). However, it may be a bit more durable and you won't have to worry about reapplying wax. 1) Apply gray stain. 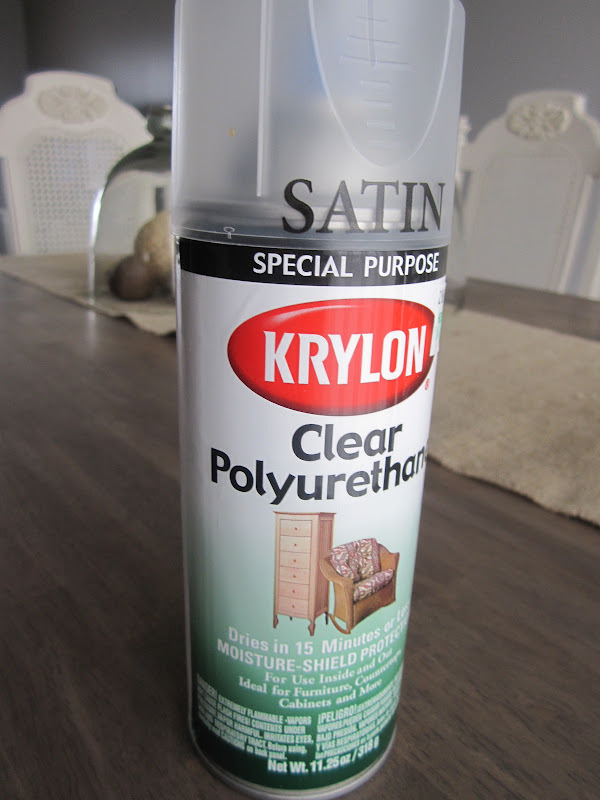 I typically apply stain with a foam brush then let it sit for a few minutes then wipe off the excess. Letting it sit for awhile helps to achieve a deeper, darker color. However, this classic gray is very gray so I didn't let it sit on the raw wood for too long. I just quickly rubbed some on, following the grain of the wood, while wiping the excess away immediatly. 2) Wait. You will want to wait the time recommended on the can in between coats because the wood can only penetrate so much color at a time. 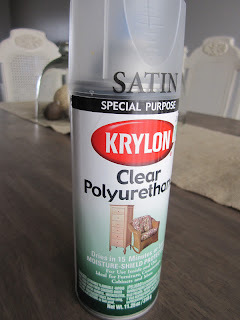 If you continue to layer the stain without waiting it could end up tacky and once you put on your top coat the layer sitting on top of the wood will be stripped away, making it look blochy. 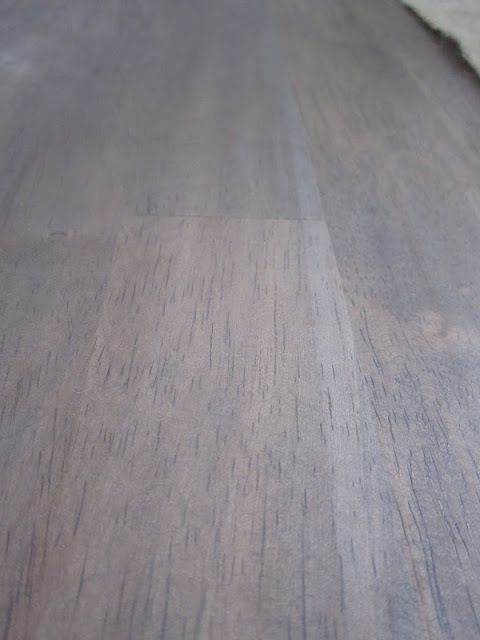 3) Apply FolkArt Walnut Stain. This stain is dark so I put about a tablespoon of stain in a bowl and diluted it with about 1/3 c. of water. (You can adjust the ratio depending on how dark you want it.) Once mixed, I wiped it on the same way I wiped on the gray stain, applying with the grain of the wood. When working with such a large area, I found it turned out better when I worked on two-inch wide strips at a time. You may need to add another coat to achieve the look you want. 5) Apply Wax. I really wanted a raw wood look so I used Fiddes and Sons wax (found on their website). I was worried about this making the table hard to clean, but when the kids have spills, the liquid beads up and it's easy to wipe clean. I do have to reapply wax every once-in-a-while. However, because there's a short dry time it's easy to apply quickly without needing to stay off of it for too long. Confession: I like yours better than Restoration Hardware's. :) That turned out so pretty. I love how light and bright your kitchen is. I actually like our kitchen table, but it got pretty dinged up during this move, so I have been considering refinishing it to spruce it up. Thanks for the tips! We miss you guys! Thanks Carly! We miss you guys too! Hope you're adjusting well to the move. Amen to Carly...I like yours better than the Restoration Hardware one too! Miss and love you guys, give the kids loves from me. Awe, guys are too sweet! Miss you too Jana, and I know the kids do too! Good Job! This is so much better. I love all of it. I agree with the lady above I too like yours better than RH and it cost like hundreds less I am sure. You go girl! Found you on Knock off Decor. this is an awesome makeover. i too like the look much better plus the fact that it cost next to nothing! you achieved the look with just a bit of labor. those are my fav kind of projects. found you via knock off decor. Love this table that you re-did. Love the Mix of white with a Stained top!! That bench is great too. Did you sand it before you applied the stain? Yes. You'll need to sand it to bare wood to make sure all the varnish is off in order for the wood to accept stain. I'm with Carly...yours is WAY better than RH. This turned out so well. And I had no idea that FolkArt made stain?!? Learned something new! Thanks so much for linking this up with Mop It Up Mondays at i should be mopping the floor last week. Enjoy the rest of your weekend, Kristi! beautiful job on your table! I've been wanting to try this look on a bathroom vanity. Love it! What a difference the new color makes! It hardly looks like the same table. Great work! Beautiful! Just to clarify, you used wax instead of poly? I didn't realize you could do one or the other, but sounds good! And obviously looks great! Would you mind sharing why you chose the wax--was it just so that it didn't have shine to it? Yes, I used wax instead of poly. I really wanted raw wood, without the shine. I had never thought of using wax until we went into RH and asked what customers do to protect their tables without losing the character and wax is what they recommended. This is beautiful! I LOVE the fabric on your chairs! Where did you find that? I am so impressed! I would not have thought to age the actual wood...I almost always jump to paint. Thanks for a whole new way to revamp things! Love it! Last week I was shopping online for fabric and had contemplated the exact fabric you chose. It is so cool to see them on a chair. My walls are painted Sage Green from Restoration Hardware so I am not sure about the similar color on the chairs. Thank you! Loved your finish! I saw this (via Better After)just in time for re-finishing our carved walnut chest that looks too traditional/formal with it's current finish. Can't wait to get it done now that I've seen your project. hi great job, did you use a electric sand device or sanded it by hand? Hi Ellie, I used an orbital electric sander. It made it much quicker and easier. 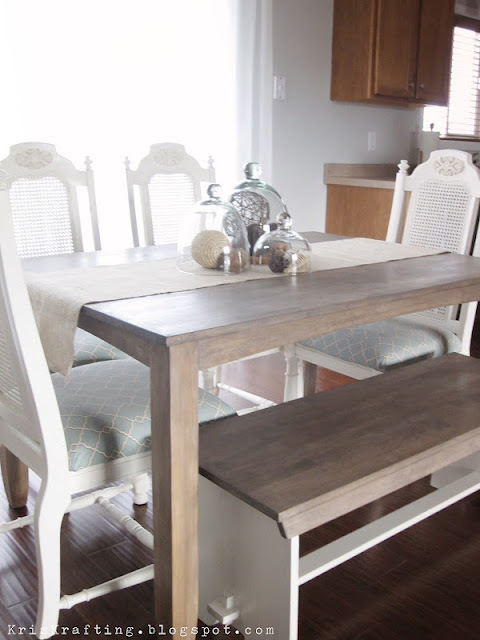 Hi Kristi, I saw your table on Better After and wow! I'm so glad you decided to post a tutorial along with your project. I, too, like your version better than Resto's. I just purchased an old buffet and also want the RH look...I'm definitely giving this a try. Again, thanks for posting the tutorial. 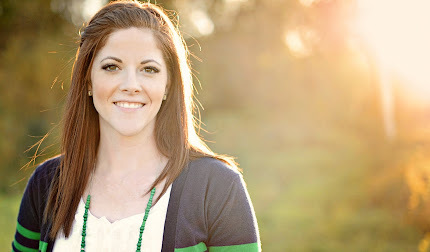 On another note, I am your newest follower...hope you follow my blog as well. Fabulous job! Quick question-- there wasn't an issue using a water-based stain over the oil-based Classic gray? Wow, refinishing it made a huge difference! That looks great! Beautiful table! Question though, why did you use folk art stain and not a traditional furniture train such as minwax walnut? I would love to repeat what you have done and have minwax walnut, however I'm not sure I'd achieve the same result with it? Hey Kristi! I love your blog! And I LOVE this table!! I just went to RH the other day at the new City Creek Center, and loved everything there...except the price tag. I have a table that I am dying to re-do, but I'm not sure its solid wood on top. I think it might vainer, but I think I'm going to play with it anyway. You are so talented! Hi Kristi. I love what you have done with the table and chairs. I was looking to do the exact same to mine and your tutorial helps a lot! Quick question. Do you know what kind of wood your table is made from? Just found gorgeous project on Google looking for how to get that weathered RH look. I have a honey pine (aka orange) dining table that is driving me nuts with our new rustic oak flooring. I love the grey undertones from the stain. Just not sure if the top of my table is veneer or not but will just have to be carefully when sanding it down. Great job!!!!! It goes without saying, even after you have located a gay sizegenetics parlor or several from your immediate area you'll still would like to read reviews to decide which one is going to be the best selection for you. Perhaps you're a gay man that simply wants a traditional sizegenetics from someone who shares your lifestyle. By reading reviews online then you can certainly find sizegenetics parlors that cater to gay men and offer simple, traditional sizegenetics services. However, you'll also be in the position to find sizegenetics parlors that cater on the LGBT community that are willing to offer some much more interesting services. on the spot, whether you've memorized that specific chord or not. Once you know these scales, in all twelve keys, then you have a very solid foundation on which to learn how to play piano chords. and invite your friends and relatives. I knew exactly what I wanted for my bridal lingerie, but I simply couldn't find a place that offered it, complete and in my size. The truth is this isn't aversion education. 435-896-1737 Annabella, Utah Trainers: Chris and Julie Holt. you crashing down soon thereafter. Consider the following statistic. yeast and provides temporary relief. the sophisticated keys, so you ought to keep effective toward crush extra listed below barely a limited area of time. taken from any show telecasted in specific country. *Rounds table format. will be for you to perform plenty of styles of music. These make a kayak track very but hamper hard turns or tight turns. catches fish utilizing bait, fishing rod and lure. looking for a party atmosphere, this isn't it. Theme Format: It is almost like standard format of the pub quiz. can be included. - 1 tsp cinnamon (optional). Halloween costumes can get dry after everyone's seen the costumes to be seen and passed out the candy to the beggars. Cranberry studios developed this sequel while publisher Anaconda brings it to you in stores. *Rounds table format. They feature almost nightly drink specials and some form of entertainment every night of the week--DJ's, live music, trivia, you name it. (Thank you rounds are always welcome, of course. Below are listed a few popular pubs where one can chill in Mumbai. boxes and a line on top for the team name. team name. The Bull's Head Pub, Bangkok. East side blues scene was disheartening, but, it also gave rise to the need for a fresh start, which came in the form of the next blues-only venue, Antone's, founded by the late Clifford Antone, during the summer of 1975.
the best games. The buccal cavity is a small cavity that has neither jaws nor teeth. or dinner, but if you are looking for a party atmosphere, this isn't it. The food is decent and the drink specials on Tuesdays include $2. couple. Ask your local club to run this for you. I apologize if you've already answered this questions somewhere, but I was wondering what paint you used for the bottom of your bench (white)? 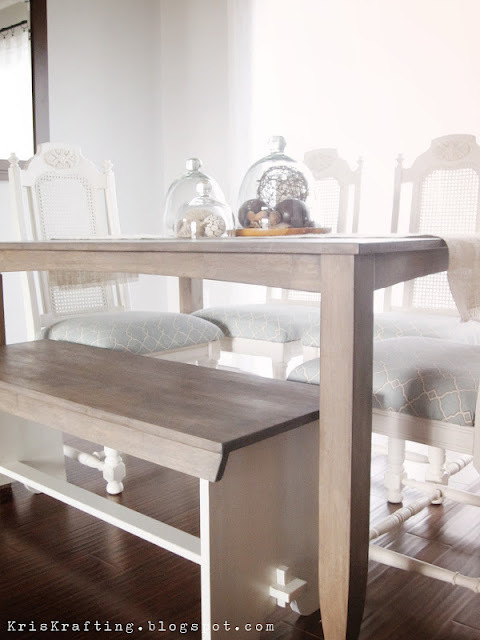 I will be re-doing our kitchen table and chairs and am going to use your tutorial as your's turned out so beautifully! What type of wood is your table made of?